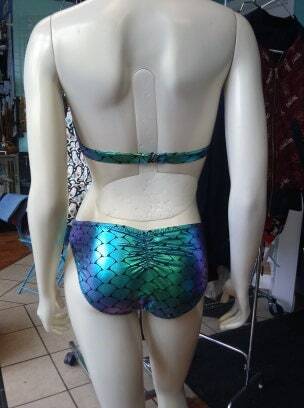 Bikini in fun and flirty mermaid lycra. Bikini top has hook back and elastic band. Bikini bottom has elasticized waist and legs, and back ruching. Made to order, provide bust, bra size and hip measurements for a customized fit! 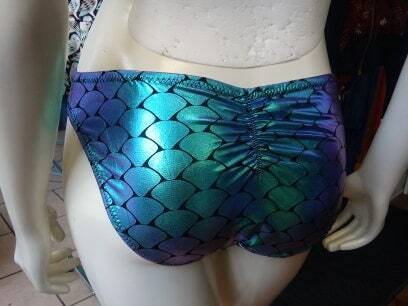 The mermaid print is extra shimmery, and will make you sparkle in the sun. Fully lined, fully submersible.